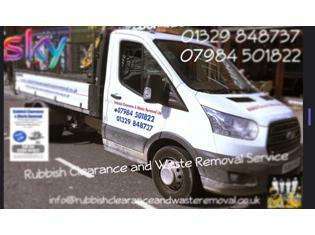 Rubbish clearance and waste removal service | Rubbish Clearance and Waste Removal Ltd. 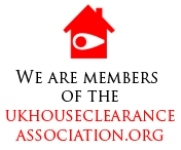 Welcome to Rubbish Clearance and Waste Removal Ltd. 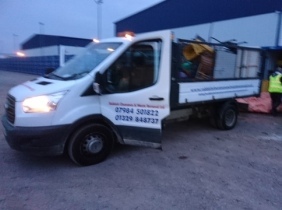 Here at Rubbish Clearance and Waste Removal Ltd. our goal is to provide you with a first-class service. We do what you need us to, when you need us to ! We always do our utmost to recycle as much waste material as possible. 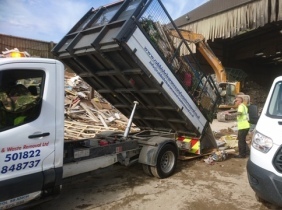 Whether it's your house, office or garden, we will remove all unwanted items from anywhere on your premises and ensure they are disposed of responsibly. 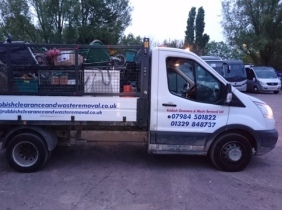 From single items to whole house clearances, we will remove just about anything, old furniture, household bric-a-brac, broken or working electrical appliances, all garden waste, all office equipment, builders waste, hazardous waste, and asbestos testing and removal! We can provide specialist cleaning services too. We do all the work for you and we will sweep up afterwards! We pride ourselves on being prompt, courteous, polite and efficient. 9 times out of 10 we are considerably cheaper and more convenient than hiring skips. 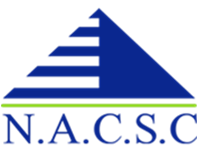 We provide waste disposal certification, are fully licenced, insured and equipped. 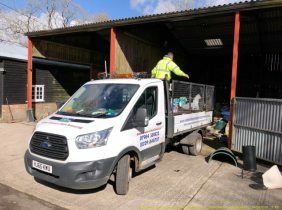 We are service suppliers to both Gosport and Fareham Borough Councils, as well as all those listed below and many more. 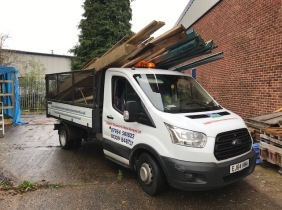 We use long wheelbase ford transit tipper trucks, with a full cage, this allows for a maximum load of approximately 12.5 cubic yards.